The Emissions Directive for engines in mobile machinery reduces emissions progressively. It can lead to a drastic increase in the required heat dissipation and a corresponding adjustment in cooler size. The use of the limited installation space available in a mobile machine must, therefore, be more efficient and intelligent. If required, integration of a heat exchanger for the A/C condenser into the cooling system is also possible. The cooler comprises a set of cooling elements in different layouts, either side-by-side or front-to-back. 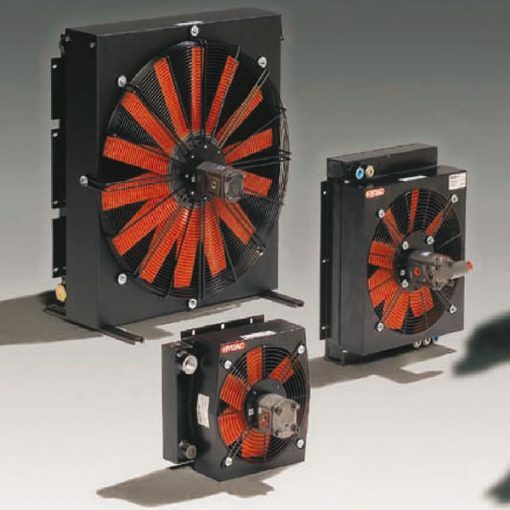 What’s more, it is possible to add a fan cover, a protective grill and a fan (also available with motor). This cooler package makes the product ready for installation upon delivery for the customer. KULI simulation software helps us determine the optimal combination and configuration of heat exchangers and fan. In addition, CFD software helps visualize and calculate airflow and heat management in the engine compartment. This helps to reduce development costs. Special cooling fins ensure suitability for use in dusty environments, for example, in agriculture and forestry or for applications in the mining sector.